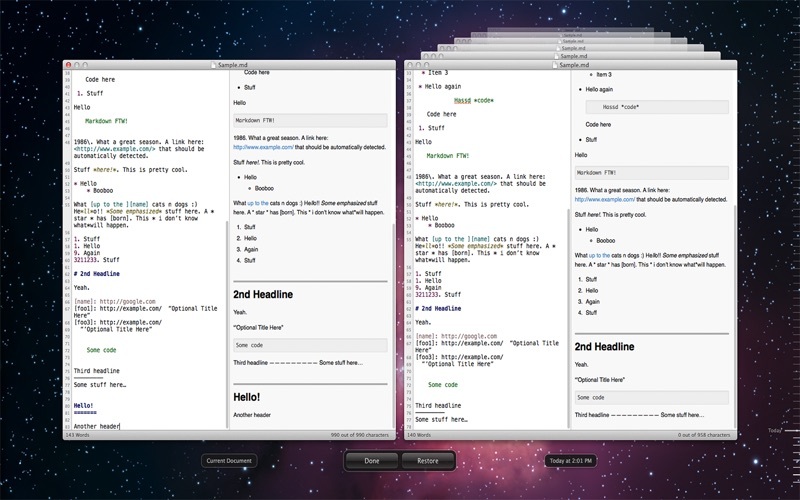 MDEdit is one of the best Markdown editor for web developers on Mac OS X. ◆UTF8 Support. Write in any language! ◆Auto Save. Save your work automatically. ◆Version History. Revert your document to history version. ◆Custom Font, Themes and CSS. Multiple built-in Themes and CSS support, or create your own. ◆With Lots of Handy Actions. 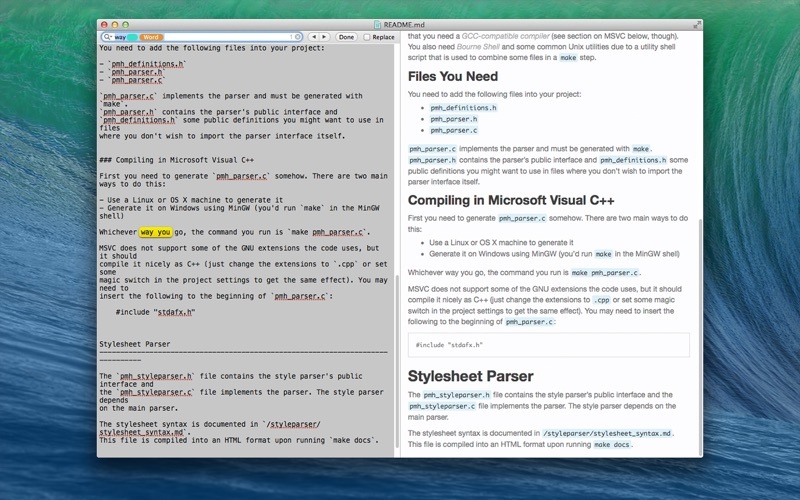 All you need for writing in Markdown is here. ◆Incremental Search. Find, Replace, Search with Pattern matching. ◆Auto Completion. Press ’Esc’ key to show a list of possible completions. ◆Custom View. 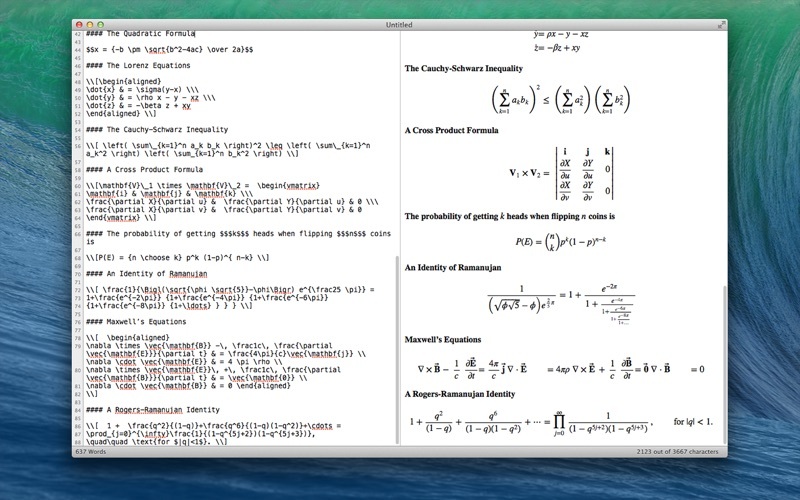 Edit View/Preview, Edit View Only, Preview Only, Full Screen, Tool Bar, Line Counting View, Status Bar. ◆Multiple filename-extensions support, such as md, markdown, txt, mkd, etc. 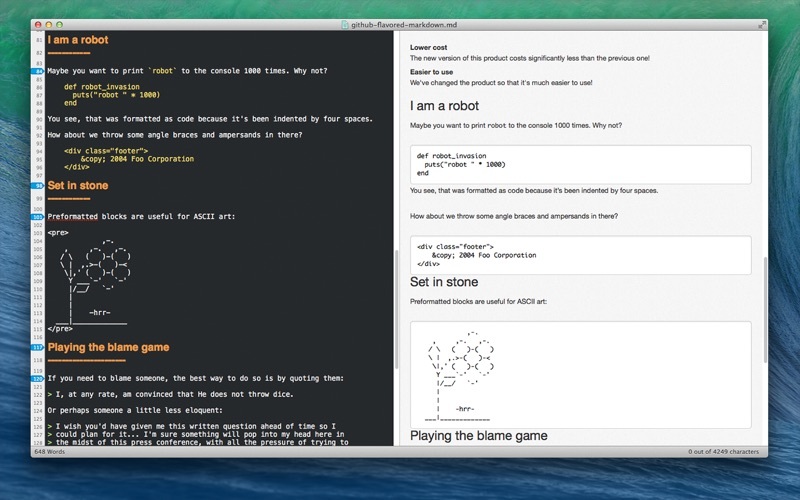 ◆Export Markdown documents to PDF and HTML with or without CSS. ◆Print Support. Print source or result. 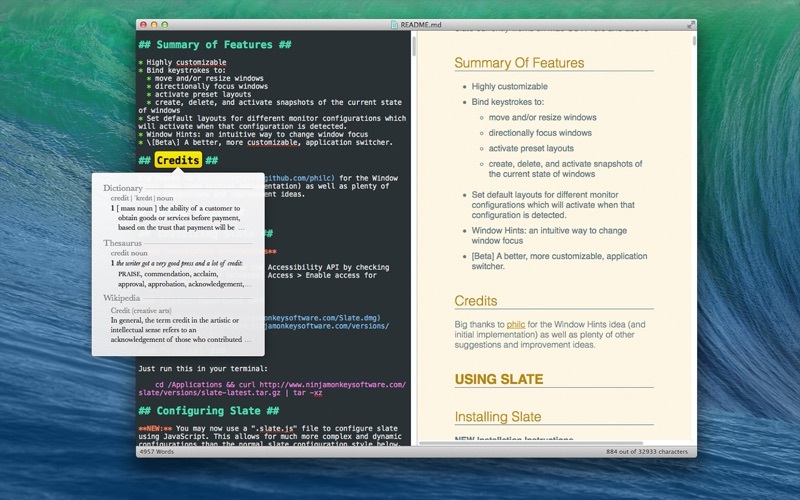 You can refer User Manual from menu "Help -> MDEdit Help” for any assistance. Email: support@firmshell.com, or use the menu “Help -> Send Feedback”.